“May the Lord curse you and abandon you. May the Lord keep you in darkness and give you only judgment without grace. May the Lord turn his back upon you and remove his peace from you forever.” These words, taken from a popular R.C. Sproul video, starkly reveal the dark underbelly of the Calvinist’s concept of justice, which is what I wish to explore in this post. Most supralapsarian Calvinists (and quite a few non-supralapsarians) will agree with Herman Hoeksema that “Reprobation exists in order that election may be realized. Reprobation is necessary to bring the chosen to the glory which God in His infinite love has appointed for them…” The idea here is that God could not have properly saved the elect, let alone demonstrated His justice to them, without having a group of people with whom He can be angry for all of eternity. Imagine a potter who labors continually until he has created a number of excellently wrought vessels of great beauty. But he is not satisfied with that—he must also construct a second class of vessels in order to smash them into a hundred bits. This proves to everyone that he has strength. The God of Calvinism is like this potter; he must have two classes of people: One group with which to demonstrate His love and mercy, and another group with which to demonstrate His wrath and hatred of sin. In the end, this amounts to saying that God hates sin so much that He wanted it to enter His creation eternally so that He could always be punishing it. But consider carefully what this actually means. Because His hatred of sin is so great, He must create it and it must go on existing eternally in those subjects He is forever punishing. According to such a theory, if God had chosen to prevent the existence of evil in the first place this would have been a worse state of affairs then the endless perpetuation of evil in an everlasting hell since there would then have been no way for us to know that God is just (for the Calvinist, we cannot know that God is just unless He has something to be angry about). Hence, what this amounts to saying is that God hates evil so much that He must ensure its eternal existence. Therefore, God must be eternally expressing His justice and hatred of sin in order to be absolutely simple, and therefore to be truly God. Most Calvinists who hold to these ideas do not realize that their origins are in Greek philosophy rather than the Bible, and so they naively think that the whole package can be inferred from a few verses like Romans 9:22. They fail to appreciate that their philosophy is actually creating a lens by which they read Paul. Point four is only applied in terms of eternity stretching forward, but if the logic of the above argumentation is fully accepted, it would necessitate that God’s wrath against evil must also stretch backwards eternally as well, and that evil must therefore have always existed in order for God to have material upon which to demonstrate His wrath. If a Calvinist nullifies the need for evil to be present through eternity past by invoking the notion that God is outside of time, then logically this notion could also be invoked to nullify the need for evil to be present for eternity. As already mentioned, this theory says that God hates evil so much that He must ensure its eternal perpetuation, for if in a trillion years from now there was even a millisecond of time in which God didn’t have a group of sinners to be angry at, then this would be tragic as one whole part of His character (justice) would be unable to be expressed. In a world without sin, two of God’s most glorious attributes—His justice and His mercy—would go undisplayed. This, obviously, would be horrible … In a world without sin and evil, at least two attributes of God would have gone unrevealed and unmanifested, those attributes being wrath and mercy. Since this is obviously intolerable, God determined to direct our affairs the way that He did. It is a proper and excellent thing for infinite glory to shine forth; and for the same reason, it is proper that the shining forth of God’s glory should be complete; that is, that all parts of his glory should shine forth, that every beauty should be proportionably effulgent, that the beholder may have a proper notion of God. It is not proper that one glory should be exceedingly manifested, and another not at all … Thus it is necessary, that God’s awful majesty, his authority and dreadful greatness, justice, and holiness, should be manifested. But this could not be, unless sin and punishment had been decreed; so that the shining forth of God’s glory would be very imperfect, both because these parts of divine glory would not shine forth as the others do, and also the glory of his goodness, love, and holiness would be faint without them; nay, they could scarcely shine forth at all. If it were not right that God should decree and permit and punish sin, there could be no manifestation of God’s holiness in hatred of sin, or in showing any preference, in his providence, of godliness before it. There would be no manifestation of God’s grace or true goodness, if there was no sin to be pardoned, no misery to be saved from. How much happiness soever he bestowed, his goodness would not be so much prized and admired … So evil is necessary, in order to the highest happiness of the creature, and the completeness of that communication of God, for which he made the world; because the creature’s happiness consists in the knowledge of God, and the sense of his love. And if the knowledge of him be imperfect, the happiness of the creature must be proportionably imperfect. And thus evils, which God does not love, are not apart from order; and nevertheless He does love order itself. This very thing He loves: to love good things, and not to love evil things—and this itself is a thing of magnificent order and of divine arrangement. And because this orderly arrangement maintains the harmony of the universe by this very contrast, it comes about that evil things must need be. In this way, the beauty of all things is in a manner configured, as it were, from antitheses, that is, from opposites: this is pleasing to us even in discourse. It is not good enough to criticize these ideas merely because of their pagan origins, although the fact that these theories have their roots in the twin pillars of philosophy and Manicheanism should make any Calvinist uneasy. The problem with these conjectures is that they essentially assert that God requires an opposite (an antithesis) in order for Him to be good, or at least for His goodness to be fully actualized and manifested. It requires us to assert (at least if we are consistent) that throughout all eternity, the goodness and justice inherent in the blessed Trinity was always incomplete, because it wasn’t until evil came along that all the unrealized potencies in the Godhead could finally be realized. This implication is clear in John Piper’s otherwise excellent work Desiring God and also in his less-excellent The Pleasures of God. Piper suggests that the pain, evil, and misery of some are a necessary pre-condition for the ever-increasing enjoyment of the saints. This seems to leave us with a kind of dualism since it makes goodness eternally dependent on evil. Again, if taken to its logical conclusion, this would entail that evil must be just as eternal as the blessed Trinity. On the other hand, if the members of the Trinity are completely self-sufficient and could fully appreciate their own justice independent of creation, then presumably it would also be possible for God’s redeemed and glorified children to appreciate God’s goodness and justice apart from the existence of evil, unless we can first produce an a priori argument to the contrary (which, of course, no teacher from Augustine to John Piper has been able to do). If evil is necessary in order for God’s goodness to be manifested, and if the manifestation of such goodness is a crucial part of what it means for God to be Lord (since otherwise, God’s hatred of sin could not find an outlet), then it follows that creation is necessary in order for God to be Lord, as creation itself is a precondition to evil. In that case, God would not be Lord prior to creation. Ergo, creation is not an overflow of God’s abundance but something that was necessary in order to realize a certain aspect of His character. This lands us uncomfortably close to what some Arians have proposed. I know Arians who have said that in order for God to be Lord, He must eternally be Lord over something; ergo, the Son must be eternally subordinate to the authority of God the Father. A similar logic lies behind much Calvinist speculation. Because of this, my wife and I realized that it is better to simply say it’s a mystery as to why God would permit evil, instead of trying to give a problematic philosophical explanation for it as Calvinists might. Evil certainly exists, so there must be some explanation for it that does not compromise the attributes of God, seeing as terms like goodness, justice, and love can have no meaning apart from God. We know from the Bible that God permits evil in order to work good out of it, but that’s about all we know. If we try to fill in the gaps of our understanding with the Augustinian/Calvinist explanation, we are forced to believe that God’s love, grace, goodness, etc. are only intelligible in a world marred by evil. On a purely practical level, this doesn’t make sense. I don’t need to go down to the local dump and gaze upon the garbage there in order to appreciate the beauty of nature. I don’t need to feed on putrefied fruit and rotting bread in order to enjoy lamb chops. Similarly, I’m sure that the persons of the blessed Trinity were fully capable of appreciating one another’s love prior to the advent of evil. Once again, I can’t provide an alternative explanation for why a God who is all-powerful and all-knowing and all-good would allow evil to exist. While we know from scripture that the Lord allows evil in order to work good out of it, we don’t ultimately know why He chooses to tarry as His people suffer persecution or why He allows the wicked to prosper. This is a mystery for us just as much as it was a mystery for the Psalmists or for the long-suffering Job. We just don’t know how God can be all-good, all-knowing, and all-powerful, and yet evil still exists. This is not just a profound philosophical question but is also a very real existential question—especially for those Christians who have been victims of both cruelty and injustice. The problem with Calvinism is that its quest for rationalistic clarity does away with this necessary mystery. Calvinism asserts that evil exists because God wants it to be there—end of story. 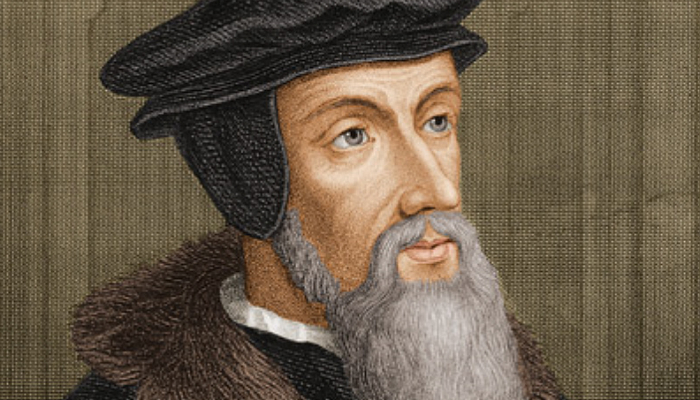 As Calvin put it in his Institutes of the Christian Religion, “I say with Augustine that the Lord has created those who, as He certainly foreknew, were to go to destruction, and He did so because He so willed,” while later Calvin extends this idea to its consistent corollary, which is that “man by the righteous impulsion of God does that which is unlawful.” In other words, according to Calvin, the sinner sins because God impels him to do so. [M]an falls, the Providence of God so ordaining …that by the will of God all the sons of Adam fell into the state of wretchedness in which they are now involved … Nor ought it to seem absurd when I say, that God not only foresaw the fall of the first man, and in him the ruin of his posterity; but also at his own pleasure arranged it. God, in His own pleasure, arranged evil? This leads to what I consider to be a trivialization of evil. R.C. Sproul, Jr. posted a Facebook status saying that since God is sovereign, even those things which are not as they ought to be really are just as things ought to be. He went on to say that there are ultimately no “bad” things, since God is completely sovereign. Now if all he means is that even bad things work out ultimately for good, then I have no problem. But there is a great difference between saying, on the one hand, that God works good out of evil, and on the other hand, saying that that since God is the author of all things, evil isn’t really bad (or that everything which happens ought to be). If, as Sproul maintains, God is the author of evil, then we would have to say that He fosters wickedness in people’s hearts. But if so, then God is sinful by the Biblical definitions of sin and evil. Consider that in the Proverbs, the ones who incite and tempt to evil (like the fool’s friends or the prostitute) are as morally guilty as the simple man who falls prey to those temptations. James says that God does not tempt us, but if God is the author of evil then He is doing a lot more than merely tempting us: He is fostering the evil in our hearts and inciting us to sin. Under this scheme, the words “God is good” are no longer intelligible, as God is violating His own self-revelation of what constitutes “goodness.” Consequently, if God really is the energizing principle behind both the seed of the woman and the seed of the serpent, then we would have to conclude that the Biblical categories used to describe God are ultimately non-descriptive. Moreover, it would make a mockery of the antithesis that we find throughout the war-Psalms, if God is the causal force behind both sides. Moreover, if God is the author of evil, then we would have to conclude that evil is just as much an intrinsic part of God’s character as His goodness. But in that case, we are left without a standard for distinguishing between good and evil. Using God’s character as the standard would then be akin to using a tape measure on which inches and centimeters are all mixed up. God can only be the standard for distinguishing between good and evil if the former and not the latter is fundamental to His character. It is true that I have mostly been discussing certain extreme, supralapsarian expressions of Calvinism. But even in more moderate reformed theology we see a distortion of the Bible’s actual teaching on the subject of justice. In both the Old and New Testaments, we find that justice is not really about God punishing sin as an end in itself; justice is more about God setting things right. To be sure, when God sets things right, this involves judgment against sin, but the Bible tends to place this justice within the context of His covenant faithfulness to His people in a way that is often lacking in systematic Calvinist thought. Objection #1: Your critique of the Calvinist concept of justice criticizes the conclusions of Calvinist theology without actually pinpointing where Calvinism goes wrong in the process of scriptural argumentation leading to those conclusions. It is insufficient to simply find the conclusions of reformed theology objectionable if you have not demonstrated from scripture that the premises leading to those conclusions are wrong. Answer to Objection #1: This objection is easily answered by quoting a point made by the mathematician John Byl in The Divine Challenge. Byl writes that “if the falsity of the conclusion is more plausible than the truthfulness of the premises, then it is rational to reject the premises … The advantage of this method of refutation is that one need not pinpoint exactly where the initial error occurred.” This is the approach I have taken in my critique of Calvinism. The falsity of Calvinist conclusions are so apparent that it is unnecessary to actually show where the argumentation leading up to those conclusions has gone wrong. Objection #2: Some of the implications you draw from the Calvinist concept of justice, such as your argument about the Trinity, would be repudiated by any self-respecting Calvinist. This suggests that, once again, you are misrepresenting Calvinism and creating straw man arguments. Michael says that P is true. But if P is true, then Q follows. Therefore, what Michael says about P cannot be true. Suppose you are Michael in the above example and that you disagree. You could dispute premise one, and say that I had misunderstood. Or you could dispute premise two by arguing that Q does not follow from P. Or, you could dispute premise three and argue that Q is not absurd. In all such cases, the conclusion in premise four would no longer follow, but in only one case (namely the first) could you claim I had misrepresented you; that is, only by disputing my argument by arguing that premise one is false would you be able to legitimately claim that I had misunderstood you. Even if you strongly protested against the second premise and violently disagreed that Q followed from P, you still couldn’t legitimately claim I had misrepresented you unless I claimed that you also drew Q as an implication of P.
Let P stand for the Calvinist idea that God must have a group of people with which He is eternally angry in order to demonstrate His justice, and let Q stand for some of the implications I have drawn. Here’s the rub: even if I am wrong that Q follows from P, this itself is insufficient to establish that I have misrepresented the Calvinist position, unless I also claimed that they too affirmed this implication. But nowhere in the above argumentation did I claim that Calvinists affirm the implication I drew, and precisely because of this, it cannot be legitimately argued that I misunderstood. Robin Phillips is the author of Saints and Scoundrels and a contributing editor for a number of publications, including Salvo Magazine, Touchstone and the Chuck Colson Center. He is working on a Ph.D. in historical theology through King’s College, London and blogs at Robin’s Readings and Reflections. Robin, I applaud your blogs on this subject so far and look forward to your next installments! I identify with much that you have written. My wife and I were members of a reformed church that was growing more and more hyper-Calvinist and this transition was what God used to ultimately lead me to the Orthodox Church. The son of our pastor reminds me of your description of R.C.Sproul Jr. He was attending Reformed Theological Seminary in D.C. and when his father gave him the pulpit every so often, he sounded like the return of Jonathan Edwards. Taking TULIP to its natural conclusions, we finally had to leave because we simply could not stomach the teaching that our loving God would create billions of people for the sole purpose of predestining them to eternal damnation for His own “pleasure”. One statement you made, however, made me want to comment. You said “I can’t provide an alternative explanation for why a God who is all-powerful and all-knowing and all-good would allow evil to exist.” If I’m not mistaken (and Fr. Andrew Stephen, you can tell me if I am), the Church has an answer to this question. In order for God to have communion with the humans He created in His likeness and image, He had to give them the choice to love Him or not. Adam had to choose between two things: living in communion with God, which meant trusting, loving and obeying Him, or trading that for a lie which promised momentary pleasure and intriguing but forbidden knowledge. God of course wanted Adam to choose communion with Him, but disobedience to God also had to be a real choice for Adam. It was this disobedience, or sin, that broke communion and brought mortality to himself and with it the fall of the entire creation. Evil is simply another word for sin and it exists and will continue to exist until Jesus returns in glory. Until that day, everyone who has ever lived or will live will have the opportunity and privilege to choose whether to follow God or ourselves, to choose good or evil, to choose eternal bliss with God or eternal pain and torment. When the sifting has been done, when the wheat and tares have been separated, and when the new earth has replaced the old, then evil, pain and death will be abolished. But until then, we will live in a fallen world that contains good and evil. God doesn’t promise that His children will never be victims of evil people or circumstances, but He does promise to be with us through them and to use them to purify, refine and prepare us for eternity with Him. At least, this is how I believe the Church answers the question:”Why does a good God allow evil?”. Bravo, Robin! Bravo indeed! Jim’s response above is spot on. I would also add, though this may be quibbling over your rhetoric, that evil does not exist, but is a turning away from Existense and God’s order of reality to chaos and death (On the day you eat . . . ). Thus freedom in us is the sine qua non of evil, for if we are made after God’s Image, then reason and freedom are necessary natural properties. Looking forward to the next post. It’s surprising to me you are willing to immediately write off Wilson, Edwards, Augustine, Piper as wrong. (I’ll grant you R.C. Sproul Jr. is a chimp). In light of such good minds against you, I think it should should also bother you that once you’ve torn down the classic view there is nothing to put in it’s place. Allow me to suggest you have not at all addressed objection 1. Romans 11:32 is explicit – “For God has consigned all to disobedience, that he may have mercy on all.” Here the text is clear that God has permitted sin, planned it you might say, that He may show mercy. This series was my first introduction to you, so maybe a lack of Biblical fidelity bothers you, or maybe it doesn’t, I don’t know. But if you do want to be faithful to Scripture it seems to me in light of Romans you will have to come to the same conclusions as those other thinkers. Philip, assertion – – such good minds – – is not an argument, quod gratis asseritur, sine gratis negatur. Robin can easily march his own legions of good minds for your review, if you want. Nor is your use of Romans 11:32 some self interpreting brute fact, since the “all” in the first clause is a reference to an unrepentant Israel, God “consigning” them to disobedience can only have the force of God leaving them to their own devices. The verb has the sense of cooping up, or hemming in, not some judicial decree. If the text had the weight that you say it does, the conclusion could only be that when St. Paul says “that he might have mercy on all” he proclaims a universal salvation, in which case the consignment to disobedience is hardly a consignment. Biblical fidelity? Please, make arguments, not assertions. I’ll agree with you on the first two statements. First, that the greatest theologians agree together on a doctrine does not make it true, however, before disagreeing with all of them one must be careful. I’d like to see an equally impressive list of historic, orthodox Christian thinkers put against this one. Two, the ‘all’ does indeed refer to unrepentant Israel. But the third I’ll dispute. God has not merely left them to their own devices, He has hemmed them into sin, herded them into it. Sygkleiō is what you would do when using a net to catch fish, as you seem to know. You’re right that it’s not a judicial decree per se, but it is a decree nonetheless. The force of Romans needs no argumentation from me, it is obvious and it stands: God has consigned the Gentiles to sin in previous times, in Pauls time the Jews had fallen into sin because He consigned them to it. Thus all have been trapped in sin, that God might have mercy on all. Paul says that this is incomprehensible, in v33, that He would do such a thing is beyond understanding, and the Apostle can only break into praise at the ways of God which are past finding out. To answer the last part, God proclaims a potential universal salvation in v32. The word is ‘might.’ You have read into it an effectual universal notion. If you are asserting that I’m advocating universalism, it would be a straw man, I am not. God can’t be a savior unless men are fallen and sinful, so He has shut up all, that He might be the savior of all, and particularly of those who call on Him. This is all self evident, if you disagree then it would be more accurate to say you don’t like the conclusion. Philip, if you agree with Cyril’s first point, why do you immidately ignore it? By the way, just in case there was confusion, his point wasn’t “that the greatest theologians agree together on a doctrine does not make it true.” It was your assertion that the list provided were “such good minds” (in particular Wilson, Edwards, and, Piper) without any evidence. Again, quod gratis asseritur, gratis negatur. Philip, I think, with respect that you’re mistaken. You seem to be taking ‘proof-texts’ of ‘cherry picking in fact. We do not see the New and Old testaments separately, but the Old in the light of the New. You might look just a little farther on – in Romans- to Rm.10-11: ‘For the Scripture says “whoever believes on Him will not be put to shame” — 13,whoever calls on the Name of the Lord shall be saved. This is why one of Jesus’ Words from the Cross is ‘it is finished’ it, being his Ministry. We, His Children have received His Word; so the end of the age, for us, has come – but it is up to us to spread the word – “preach the Gospel”. God is NOT vindictive – how could God’s own Son teach us to say’Our Father. So, please, don’t ‘cherry-pick; pray and meditate along with reading Holy scripture. Of course He’s not vindictive, He consigned men to sin that He might give them a greater gift- knowing Him and His mercy. I don’t disagree with your main point, that we must believe, that He loves the world, that we are free moral agents. But if you are asserting that He made us with free will and that’s the reason man fell into sin, I would ask, couldn’t God have stopped Adam and left him a free agent? He did it for Abimelech. So He must have decreed man fall. To say “God could have” is not the same as saying He is required to do so. You are tying God down to what you consider a logical reasoning for His actions. It’s worthwhile to remember that “His ways are not our ways”. Just my thoughts. Philip, as others have pointed out – to read the passage which you cite on its own clearly shows that those that were hemmed into sin will also receive mercy! Thus, it is universal depravity (all are hemmed into sin) AND universal salvation; or partial depravity where all of that part are then saved = also universalism. As noted in the actual article, this does not constitute a straw man (a misunderstanding of your permission) as it is simply a logical extension of your own assertion, not at assertion that you made this claim. There is no logical argument for universal salvation in this text, you must already want to hold the doctrine and are reading it back in here. The text says ‘might’ which means ‘possibly.’ God consigned all to sin, that He *might* save all. As was pointed out earlier, this salvation demands faith. The same word is for consigned is also used in Galatians 3:22, do you see a parallel in the two verses? I’ve pretty much come to the (admittedly simple) conclusion that God allows evil…because He allows us. He loves us so much that, when Adam and Eve fell, He didn’t just wipe them out and start again (also destroying the serpent because, you know, that would make sense). He continues to love enough to bring us back into relationship with Him, the fullness of which will be realized later but the hope of which is a light in our lives now. He has not even destroyed our freedom to choose, as Adam did, poorly. He continues to work His plan to our benefit, often against our will but without ever removing our freedom from us. Perhaps our own intransigence is why it takes so very long to redeem us. Just my thoughts. If I build something in my backyard and it doesn’t turn out the way I want and I get angry and smash it to pieces, then I’m incompetent and have some serious anger and self-control issues. However, if the project turns out exactly as I planned, yet I get mad about the way it turned out and smash it to pieces then I’m just flat-out insane. Yes, and this is precisely the point being made by the apostle in Romans 9 (via the Prophets). The Potter (God) has the right over the clay, since he formed it, to refashion it into a new likeness if the previous likeness is insufficient. The first pottery was Israel according to the flesh, but upon their failure and rejection of Christ, the clay was reformed to include the whole world—the Gentiles—and so now Israel is all who are in Christ, and all Israel shall be saved (Rom. 11). These are not actions of a vindictive, angry deity, but of One looking to seek and save the lost, whoever or wherever they may be, and even if his own people are no longer his people. He made a people who were not his people to be his people instead. Amen to that mate. It’s so very frustrating that so many good minds, with such great energy and fervour for Christ, are so profoundly mistaken over the book of Romans. The context in which it was written! Who Paul was addressing specifically! That being Israel. Corporately. Paul was not addressing individual yanks in the 21st Century there. As an Englishman please forgive me for changing a much used and loved American political phrase: It’s (about) the Jews stupid! No offence meant. And if any Calvinists took any, well; God just pre-programmed me to write that, so don’t cry! An always interesting subject for sure. More people need to be confronting Calvinism I think, but of course doing it with Christian grace as you seem to be. The existence of evil in the world seems to make more sense when I recognize it to be a natural byproduct of free will. Because God doesn’t want robots following Him, He gives us the option to sin, with evil and death being the result. But we can all choose Christ, salvation, and righteousness. If there were no choice in the matter (if Calvinism were true), then things would be screwed up indeed, and our minds would get warped trying to make sense of it all. It made a big difference in my thinking when I read not long ago about how the Gnostics during the time of the early Church actually had logical arguments for their beliefs that convinced many Christians to join them. 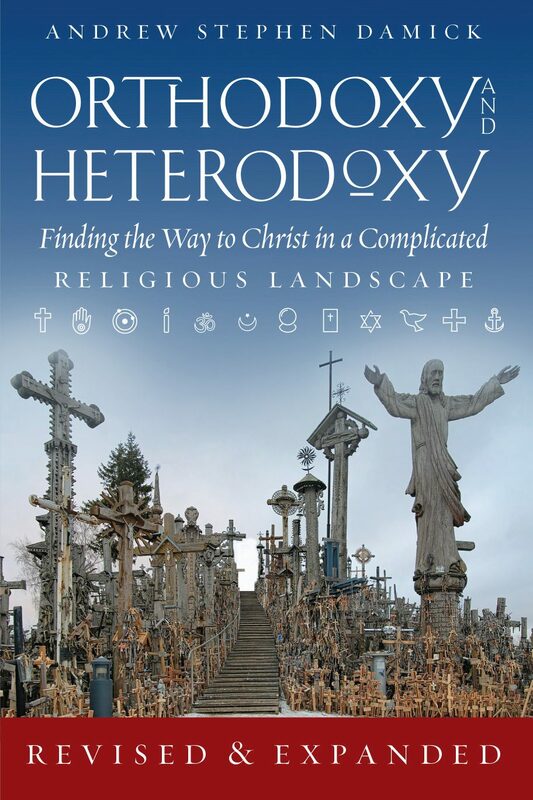 Church authority was required to stress that orthodoxy must trump the convincing ideas of the gnostic heresy. Without that authority to preserve the faith, Gnosticism had a good chance of gaining a powerful foothold. This got me thinking about the hold that Calvinism has in American churches today, based on the supposed logical conclusions people reach by applying their limited understanding to what they read in the Bible. Who is able to stand against Calvinism with the authority to insist upon orthodoxy? Robin, Your comments on how the Old Testament revelation of the Character of God is a God that seeks healing and restoration is highlighted by a word study in Hebrew of the term used for Judgment in connection with God. The word used (anglicized) is “Shophet” which is defined as setting things right. This is a far cry from the crime and punishment motif of Penal Satisfaction and reveals a God that truly loves His creation and is moving Heaven and Earth to set things right. 1. God created, not knowing that evil would result (“Open” or “Process” theology). 2. God created, knowing that evil would result, but created anyway, resulting in purposeless evil. 3. God created, ordaining the fabric of time itself, and has some greater purposes than we can imagine for evil. Evil is seldom self existent. Generally its purpose is to obtain some good via a shortcut that we should not follow. However those are your assertions, and as is said what can be asserted without argumentation can be so dismissed. I suspect, evil, by classical Christian definition is properly understood as “purposeless” (when considered in and of itself). I think a lot of evil has been perpetrated by well-meaning folks insisting that God had some purpose in an evil (taken in and of itself), rather than just affirming God cannot fail, as Romans 8:28-29 teaches, to bring good out of the circumstances that result from evil–as in the story of Joseph and his brothers in the OT, which is the hope of every Christian. David Bentley Hart has addressed this from an Orthodox (classically Christian) perspective in his excellent little book, The Doors of the Sea. Robin, let me start with my substantial agreement with what you have written. ADS is problematic, and it entails a necessary dualism which is unfitting to the Christian religion. Furthermore, St Augustine plainly teaches it. We should find this problematic and reject it. However, the old canard of Manichean influence needs to be put to rest. For Manichees, the locus of evil is composite existence (aka nature). For Augustine, however, the locus is not nature but will (see the paragraphs right before your second quote from Augustine in City of God). This point is important precisely because Origen makes this very distinction. For Origen, God is Absolutely Simple (On First Principles I:1:5-6) and all his attributes are perpetually actualized (Ibid. I:4:3). This implies a necessary dualism (Ibid. I:2:10). The locus of evil, for Origen, is not nature (like the Manichees insist) but the will (Ibid. I:8:2, II:9:2). All of this becomes exceedingly important when we realize that Origen was one of the primary influences on Augustine’s conversion (cf Heidl’s “Origen’s Influence on the Young Augustine”). It is the recent discovery of this fact that is reshaping the course of Augustinian studies. Augustine does not represent the influx of Manicheanism into Christianity, but rather a critical engagement with Origenism; which is itself an attempted synthesis between Athens and Jerusalem. The problem of Calvinism, as regards Augustine, is the reading of him apart from what is going on in greater Christian theological development. As Augustine’s (and Origen’s) writings and ideas are filtered through the theological developments of Cyril, Justinian, and Maximus new approaches are forged to these problems. The problem is that while these approaches are accepted officially by Rome, the rise of Franco-Gemanic culture isolated these ideas from much of Western Europe. And so, as early as Aquinas and certainly by the Jansenists, Augustine is understood to be a Father and Doctor not because of his important differences from Origenism, but rather because of his acceptance of parts of it. This is, I think, an anachronistic reading of Augustine’s rise to prominence. One must remember at this point that both Prosper of Aquitaine and John Cassian claim the legacy of Augustine. Thus, Calvinism emerges through a rank dehistoricizing of a single Saint (Augustine), removing him from his place in the Church’s theological development. This goes hand-in-hand with Calvin’s dehistoricizing of Paul, for instance. Calvinism represents the conquering of Jerusalem by Athens and the subsequent propaganda that Paul was always an Athenian. I appreciate your analysis and think that you are spot on with your closing statement. It is interesting to note that Origen carries the ideas to their logical extreme – that of complete redemption of all things (eventually, even postulating that Satan himself would be redeemed which got him into trouble with the rest of the Christian community). This is a far more Christian perspective of the greatness of God and the wonderful redemptive work of Christ than Calvinism. In my mind, you are comparing two heresies and saying one is better than the other. This might be, but they are still heresies. Augustine is used explicitly by St Justinian in the 5th ecumenical council to condemn both Origen and his teaching on apokatastasis. This condemnation is confirmed again, in the 11th century condemnation of John Italus. So no, neither Origen’s universal restoration nor Calvin’s double predestination are fit for Christian theology. I am comparing two heresies and saying that one is better than the other. I’m suggesting that starting from a similar but problematic starting point, at least Origen has the intellectual honestly to follow his claims to their logical conclusion in the light of the person of Christ. Most Calvinists don’t have the intellectual consistency to acknowledge the logical outcome of their starting points. Regarding premise 3 “Both justice and hatred of sin are essential aspects of God’s character” if hatred of sin is an essential aspect of God’s nature, and God needs sin to display it during the ages, then likewise, before all ages, God needs sin to hate. And thus, sin exists before all ages. I don’t know if it is begotten before all ages, or breathed forth before all ages, or if there is some third mode of generation of evil–but however evil comes about, it is coeternal with the Son and the Spirit, before all ages. And thus, God Himself either is evil, or is Ahura Mazda, with a coeternal Ahriman opposing him. And both of those options are blasphemous. Additionally, as St. Maximus the Confessor notes, if God needs something outside himself to be desirable, then He isn’t really good, since him and evil is better than him alone. Which is also blasphemous. Are you alleging that the idea that nothing but God defines God, that there is nothing exterior to God which makes up God, that God is utterly self-existent and self-contained, is of Greek origin? Could you kindly explain precisely how? I’m hoping to see some attention paid to what Divine Simplicity intends to address. No one is saying God needs evil to exist in order for Himself to be Good. But I see no violation of biblical doctrine in saying that human creatures require a backdrop of perfection in order to see imperfection. And again, I would like to see exactly *how* Augustine’s Manichean background played into his doctrine instead of simply assertions that it just did. 2) Find one place where the *divine decreeing of evil’s existence* or the *divine decreeing that some evil will unalterably take place* is condemned by God in the Bible. Matthias, see my comment above on the topic of Augustine’s proposed Manicheanism (which I take to be nothing more than a handy rhetorical slur). Here is where you are in error, from the start, your premise is that God needs to select who is to be reprobate or who is to be rejected by God. God does not need to assist you on your way to hell, and the devil needs to play no tricks, you are doing just fine on your own. Secondly, I am assuming that when are talking about God proving “to everyone that he has strength”, you are talking about His justice and by contrast, His mercy. This is your next error. He is not demonstrating that He is just, but how just He really is, and for all eternity. He is not demonstrating that He is merciful, but how merciful He really is, for all eternity. I am going to write a reply to this on my blog, but I will say now that I am not seeing a lot of Scripture quoted here and instead a lot of logical arguments–which is fine, but our premises must be in Scripture. I’m not sure I agree. If my premise in Scripture, that is, doctrine is derived from Scripture, then one has to argue for the content of the Scriptures, without referring to anything outside of it, else it not really be the foundation, but that which is your justification for the content of the Scripture. This, of course, does not denigrate the Scriptures or anything even remotely close to that. Rather, our doctrine does not contradict the Scriptures. The content of faith existed before the Scriptures (both Jewish and Christian) and only later codified (though not entirely) in writing. Beyond that, I’m interested in seeing what you have to say and will stop by to have a look at what you have to say. Sure. I’m finishing a post about Micah and then I will move on to back here. I would say though, there is a difference in premises. Elihu notes that God reveals Himself in “visions of the night.” In a time before Jesus Christ and before Moses, there was no written revelation about God. So, all we had was God’s direct revelation and perhaps, some stories and tales. However, we know that the Scripture says about itself, “All Scripture is inspired by God and profitable for teaching, for reproof, for correction, for training in righteousness.” (2 Tim 3:16) So, though truth can be directly revealed to you by God as it is also reflected in His creation itself (natural revelation), but it won’t contradict His Scripture. So, Scripture for all practical purposes is the best place to ground oneself for all matters, as it says in 2 Tim 3:16. This is why the Church Fathers when disputing doctrines always returned to the Scriptures and what the correct application of the Scripture was. If this premise is not shared, then one cannot help but to talk past the other! Reblogged this on The Pilgrim. Sounds like God didn’t create everyone equal …… and is “free will” not predestined? Very few will achieve his rewards….faith is key, not knowledge of faith. Going to bed now. The idea that good and evil require each other, and therefore there must be an eternal dualism between them with an all-powerful, arbitrary, amoral god ordaining them both, actually predates Christianity by several centuries. It’s called Zurvanism, and it was a heterodox sect of Zoroastrianism. It was fatalistic (the name of their god, Zurvan, literally means “Fate”) and as a result, mainstream Zoroastrians considered it to be an amoral and dangerous heresy. I doubt Calvin was conscious of Zurvanism, but Augustine was probably influenced by it at some point (since both Zurvanism and Zoroastrianism in general were strong influences on Manichaean thought). If you take these lines of reasoning to their eventual conclusion, you get something like Fred Phelps (who was pretty much a neo-Zurvanist in his overall theology, despite his Bible-thumping). The idea that evil stops being evil because God wills it explains how Calvinism morphed into Deism. From Deism to Unitarianism ( despite all the earlier Servetus stuff) to eventual Universalism/pantheism. Quite often I have been told by Calvinists that the purpose of the non-elect is to demonstrate God’s justice to the elect. I counter with the fact that His wrath and justice were satisfied on the cross, and therefore even if EVERYONE were saved, there is no further need to demonstrate this. I would also add to the above arguments that if God must be “simple,” then Calvinism is self defeating. Similar to justice, one of God’s attributes is love (1John 4:8). God must also demonstrate His love continually, and He is not doing so with the non-elect. I often get the reply that He does love them, just less than the elect; but for Him to no love them fully would be contradictory to this principle. This is what I can’t seem to understand about the term Justice in Calvinism. Can God be truly “just” if He ordains that some people suffer for their crime for all eternity and others who committed an equal crime, be given eternal life in Heaven? Image if you will a judge sitting on a trial of five young men who raped and murdered a little girl. They all equally participated in the crime. Two of the young men just so happened to be sons of the judge presiding over the trial. (I know this couldn’t happen in our judicial system, but that is not the point of the example). The Judge finds them all EQUALLY GUILTY of the crime. He then goes on to the penalty phase and brings each young man, one by one before him to pronounce sentence. He sees the first three boys that are not his sons and sentences them to death for their crimes. But when his two sons come before him, he shows mercy on them and sets them free and clears their record of any wrongdoing. What would people say about that judge? Would anyone believe that justice had been served? Absolutely Not! Calvinists like to say that God shows justice to some and mercy to others. But doesn’t that defy our definition of Justice? Isn’t that exactly how you would define IN-justice? So I can hear the argument now that “God’s ways are not our ways”. That may be true, but here’s the kicker. If justice in the Bible has little or no similarity with what we mean by justice, in fact it is arguably the exact opposite of what we understand justice to mean, doesn’t that give everyone license to interpret the Bible any way they wish? If Justice doesn’t mean justice the way we understand it, then could the term Love actually mean to despise? Sure it could. But since the Bible was written by God FOR MAN, I can assume these terms are used for our understanding. So, if Calvinists are going to argue in favor of God showing his wrath to the “un-elect”, then maybe they should not use the term justice and instead say that God PUNISHES most by predestining them to eternity in Hell and shows mercy to others, who are equally evil, in order to bring glory to Himself. Therefore, according to Calvinists, God is NOT just. But he IS Sovereign.. But I believe the Bible tells us that God IS JUST. For example in Isaiah 30:18 ESV – Therefore the Lord waits to be gracious to you, and therefore he exalts himself to show mercy to you. For the Lord is a God of justice; blessed are all those who wait for him. Mmmm. Lots of good points here and lots of folks talking as if they are right or have “won” the argument. While I am always keen for a good debate, these types of discussions just become intellect contests i.e. Who can come up with the best point, quote the most authors or Scripture verses, oh yes, it also helps if you know a little Greek, Hebrew and Aramaic because then you really command respect. With that in mind let me add my 2c or personal thoughts I’ve had about why evil exists. Just as darkness is the absence of light, so evil is the absence of good or on the grander scale, the absence of God. When God granted man free will, he disobeyed and believed the lie that he did not need God but could operate alone. So we see a world now suffering under “the absence of God”. Not that God is absent from creation, but absent from us because of the choice of Adam and because our continual Adam-like choices. Sin, suffering and death are symptoms of what happens when we are cut off from the source of all goodness. Evil is a result of a condition where we have turned our backs freely on the very person who has the cure for it. This is the Gospel of Jesus Christ, that the connection between man and God has been restored because of his sacrificial love for us. The bible tells us that he triumphed over the powers of evil at the cross and made a spectacle of them. This is enough proof that God did not plan or create evil, but rather that HE defeated it. I performed a “reprobation” word search in Herman Hoeksema’s page, and made a few observations. (1) The language appears to explicitly describe the essence of dualism, while rejecting the LABEL: “dualism”. This is a typical strategy of Reformed language, where a concept is clearly described, and then its LABEL rejected. Since the system is inherently founded upon a dualistic cosmos, the vast majority of its language expresses things in the form of dualisms. (2) When expressing dualisms, another way of veiling the dualistic character of a concept, is to use two [different] words in each half of the dualism, which essentially resolve to the same meaning, which work to camouflage the dualistic nature of what is being expressed.